“How big is this opportunity? In the 4-year lifespan of [Apple's] iconic MacBook Air, units sold as a percentage of its total notebook supply was 8 percent in 2008, 9 percent in 2009, and 17 percent in 2010 to an estimated 48 percent in 2011,” he stated. Possibly more important that these chips are based on Intel’s newish fab process that will make power efficiency much higher. But the drawback is that they will utilize Intel’s slower chipset that doesn’t make use of Nvidia’s 3xx series graphics. 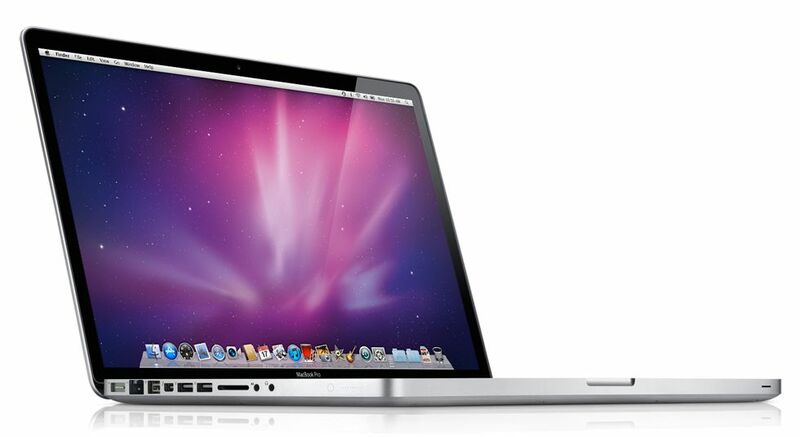 New MacBook Airs are expected within a month. 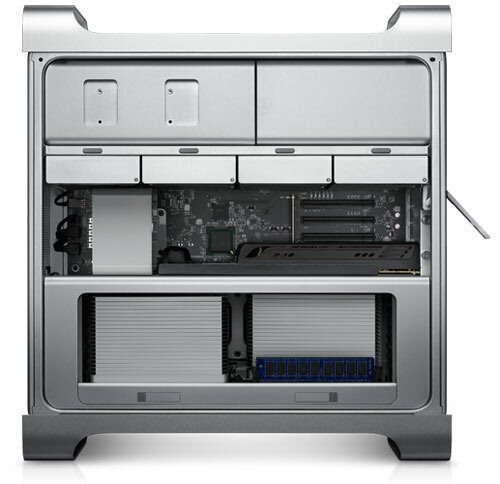 MICGadget reports that they received new information about Mac mini, Mac Pro and Time Capsule. 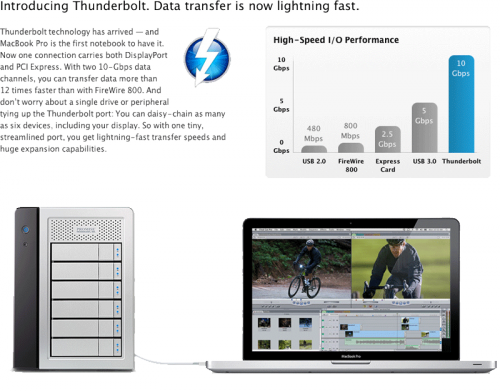 Mac mini is expected to receive Thunderbolt and Sandy Bridge processors and end up using Intel’s graphics that will be replaced by NVIDIA GPU. 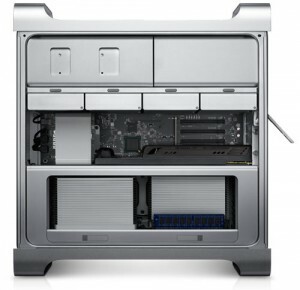 The new Mac Pro will reportedly come in a "rack-mountable" design to replace the discontinued Xserve. As for the new Mac Pro, MICGadget reports that it will have a "unique CPU" developed for the Mac and not seen in the PC. Sandy Bridge and Thunderbolt are coming to the new Mac Pro, and at the same time, an unique CPU will be developed for Mac. This unique CPU is not seen in PC. The Time Capsule and AirPort Extreme will receive new design with improved heat dissipation. The new Time Capsule will have a lower TDP and low power consumption hard drive. As for the new AirPort Extrime, it will have improved signal strength with six antennas built in. Nokia announced that it had entered into agreement with Apple, and now the prolonged legal argument between two corporations is coming to an end with two parties withdrawing their complaints to the International Trade Commission. A press release that announced the signed patent license agreement was issued by Nokia early Tuesday. 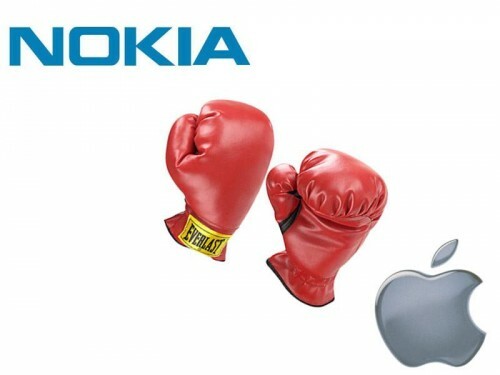 Agreement stipulates that Apple have to make a one-time payment to Nokia as well as ongoing royalties. But exact details of the agreement are kept in secret. The statement also reads that Nokia has put about 43 billion EUR into research and development in the course of last 20 years, creating a patent portfolio that consists of 10,000 patent families. DigiTimes sources revealed this week that HTC may challenge Apple's position of the top U.S. smartphone maker. Here's the deal: HTC has smartphones available on all four U.S. carriers, while Apple partners only with AT&T and Verizon. 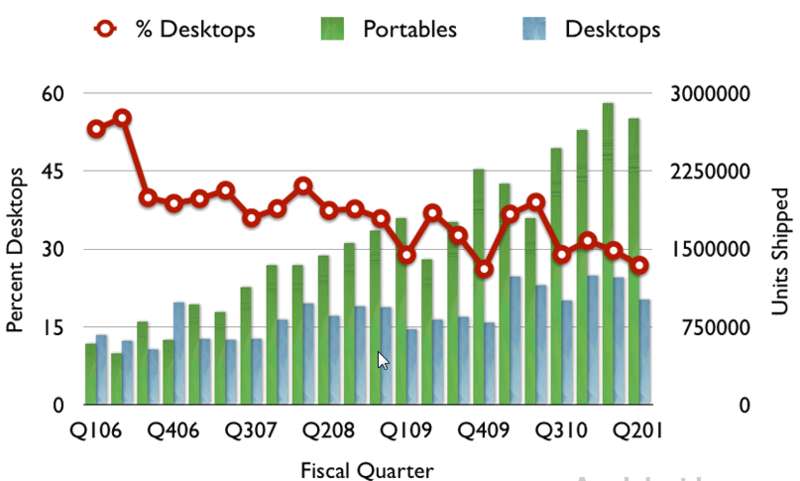 The HTC Thunderbolt is reported as the second most popular smartphone on Verizon's network, while Apple's iPhone is the first one. The best-selling Android smartphone on AT&T is also of HTC (The Inspire 4G). On the recent investor event in London Intel CFO Stacy Smith hinted that Intel negotiates with Apple about production of the ARM-based chips for iPhones and iPads. "If Apple or Sony came to us and said 'I want to do a product that involves your IA (Intel architecture) core and put some of my IP around it,' I wouldn't blink. That would be fantastic business for us,"
said Smith during the Q&A session. 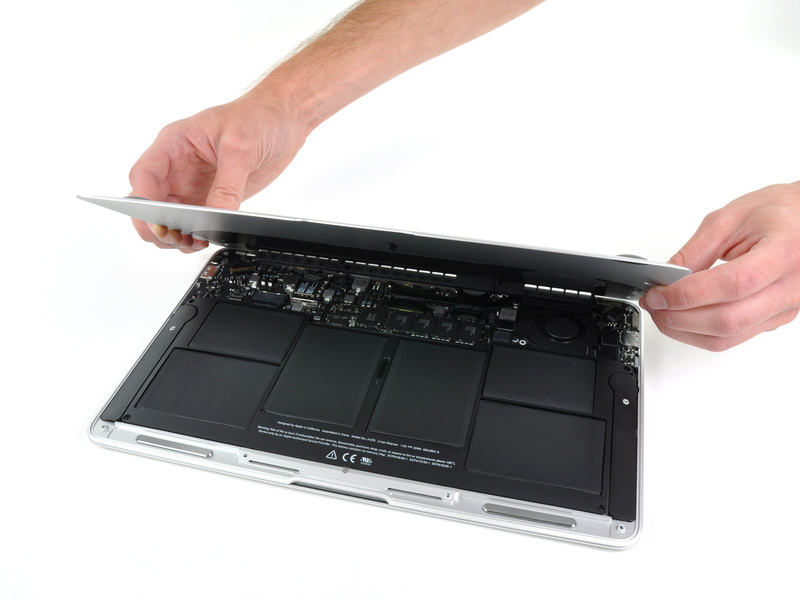 According to this source who saw live A5 MacBook Air actually, this test machine performed better than expected. Though it’s not clear which Mac OS X or iOS is pre-installed on this A5 MacBook Air, iOS seems to have difficulty to use features of Thunderbolt without Finder. And even if Mac OS X is installed, developer should spend time to support A5 on Universal Binary Applications. As considering these situation, this A5 MacBook Air seems to be made just for experiment. 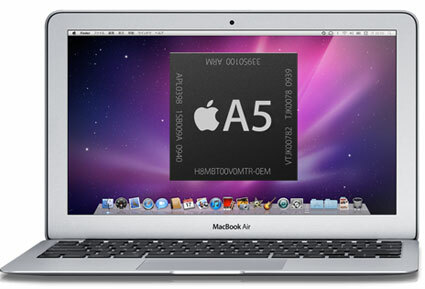 This news comes weeks after another rumor claiming that Apple is planning on transitioning from Intel to ARM-based processors on their laptops in the not too distant future. Another major issue is that while ARM processors are more power efficient, they presently offer significantly lower performance than their Intel counterparts. SemiAccurate reports that Apple will implement to ARM processors, instead Intel ones currently used, in its new laptops in the not too distant future. 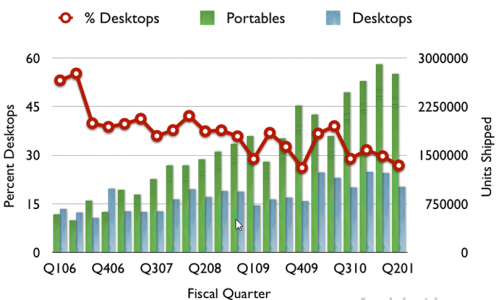 The short story is that Apple is moving the laptop line, and presumably desktops too, to ARM based chips as soon as possible. The site seems to believe that the transition will take place after ARM has moved to full 64-bit cores which won't likely be until at least mid-2013. Apple has made a heavy investment in the ARM architecture which presently powers their iOS line of products. 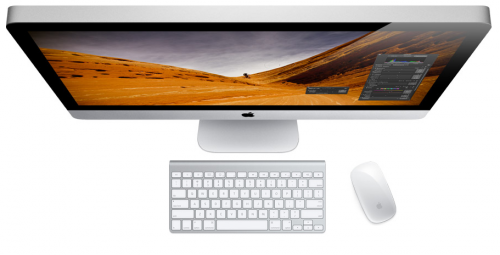 Only couple days ago Apple released new iMacs with Sandy Bridge possessors and Thunderbolt technology. 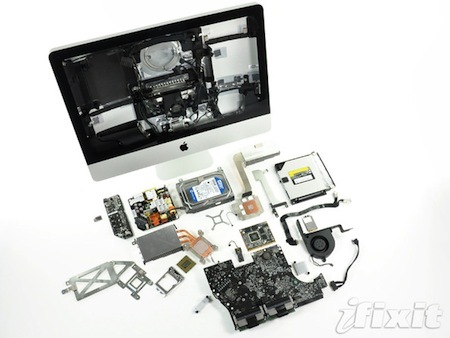 iFixit’s team, of course, immediately started tearing down a 21.5-inch model. They found that this model iMac opens in the same way as previous generations by pulling off the magnetically-held glass and removing the screws holding the LCD in place. "Our customers love the iMac’s aluminum enclosure, gorgeous display and all-in-one design. With next generation quad-core processors, powerful new graphics, Thunderbolt technology and a FaceTime HD camera, we've made the world’s best desktop even better." 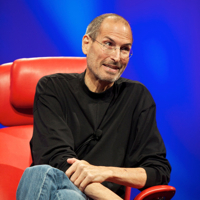 Ina Fried of The Wall Street Journal yesterday published a telephone interview with Apple's executives Steve Jobs, Phil Schiller and Scott Forstall. CEO of the company again explained Apple's further policy related to recently found algorithm of collecting anonymous data about iPhones' locations. This Monday Apple accused Samsung of copying the design of the iPad and iPhone for its own Galaxy-branded tablet and smartphone products. Next day Samsung filed a counter-suit against Apple. New MacBook Pro 15" and MacBook Pro 17"
15-inch MacBook Pro: this model comes with Quad-core Intel Core i7 processor, 4GB RAM and Intel HD Graphics 3000 + AMD Radeon HD 6000M graphics. The graphics switching will work exactly like the previous models - it automatically switches between the GPU and IGP depending on what you're doing. The cheapest $1,799 model has a 2.0GHz quad-core Core i7 processor, Intel HD Graphics 3000 + AMD Radeon HD6490M graphics with 256MB of GDDR5 memory and a 500GB hard drive. The $2,199 model has faster 2.2GHz Core i7 chip, AMD Radeon 6750M graphics with 1GB of GDDR5 memory and 750GB hard drive. The display resolution is 1440x900, upgradeable to 1680x1050 high-resolution glossy or antiglare. 17-inch MacBook Pro: This is a powerful 17-inch macbook pro. It has the same specs as high-end 15-inch MacBook Pro. For just $2,499 you get that 2.2GHz Core i7 processor, AMD Radeon 6750M graphics and a 750GB hard drive. Resolution is 1920x1200 with antiglare option. 17-inch MacBook Pro has 3 USB ports and ExpressCard/34 slot compared to 2 USB and SDXC card slot in 15-inch version. Bor both 15 and 17 inch models you can customize it with 128GB, 256GB and 512GB SSD and increase RAM to 8GB. Different HDD options are also available - 500Gb (5400 or 7200 rpm), 750Gb (5400rpm). You can also upgrade to 2.3GHz quad-core Intel Core i7 with 8MB shared L3 cache. Both come this Built-in FaceTime HD camera.